Most of us know someone who has asthma. Some have been in a situation where someone had an asthma attack and you wish you could help but you stood next to them helpless as you saw them helping themselves or waiting for help to come. Asthma is a disease that has no cure but it definitely can be managed and once one knows how to manage it, their lives can be as normal as a person who has no asthma. Read more to know more about asthma and how it can be managed. Asthma is a disease of the airways where the lining of the airways swell due to the muscles around the airway becoming tight and mucus increases in the airway. This disease affects nearly 300 million people in the world. In Kenya it is estimated that about 6 million Kenyans may have asthma in varying degrees of severity. The main cause of asthma in not fully understood. However asthma is known to run in families. The environment around us plays even a bigger role in asthma development with people leaving in urban areas being more prone to asthma. Infections: This is the number one trigger of asthma in children. These infections are usually the upper respiratory tract infections like the common cold and the flu. Allergies: Allergies are caused by chemicals in the environment called allergens. An allergy is an overreaction of the body’s immune system that leads to chemicals released in the body that cause allergy symptoms. These chemicals can also trigger an asthma attack. Common allergy causing chemicals (allergens) include dust mites, pollen from flowers, animal dander (saliva or hair), cockroach droppings, dust and food additives like food colouring or preservatives. Irritants: These chemicals do not cause allergy but irritate the airway triggering an asthma attack. These irritants include cigarette smoke, smoke from firewood, diesel fumes, perfumes and paint fumes. Sudden weather changes can also trigger asthma as the sudden weather change can release triggers like dust or pollen or even cold air. Exercise can induce asthma. As one exercises, the amount of air going in and out of the lungs dries and cools the airways. This drying effect seems to trigger asthma in those prone to getting it. Medications such as Aspirin and some types of pain killers could cause asthma. Emotional extremes of joy or sadness can trigger asthma. These symptoms are as a result of the buildup of mucus and the tightening of the airways. It is important to get screened. 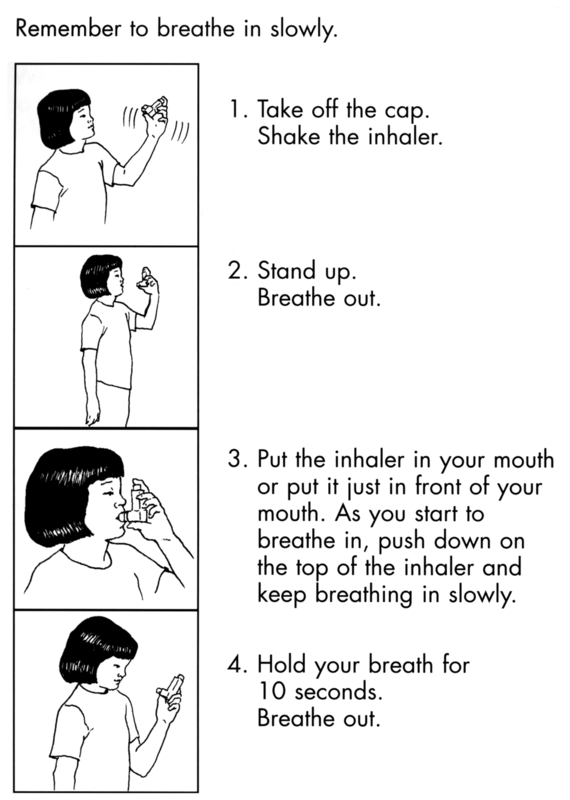 Asthma has no cure but it can be easily managed. The key to proper control of asthma is the prevention of asthma, identifying when an asthma attack is coming and the use of medication as prescribed by the Doctor. The medications given have two functions. They relax the tightened airway muscles and reduce the mucus. The result is the reduction of the symptoms. The medications are usually inhaled to have a faster effect and avoid side effects with less of the medication reaching the blood. The inhaled medications can be taken for immediate relief and for long term prevention of attacks. 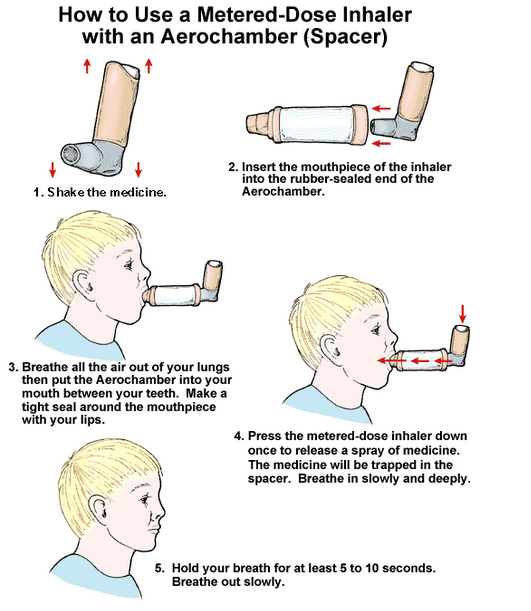 NB: When using a steroid inhaler remember to rinse out the mouth with water. When you notice these attacks on a person, rush them to hospital immediately. Please share your experience/comments and thoughts.